Has collaborated with Franck Goddio since 1998. Stéphane graduated in archaeology from the Sorbonne, Paris. He started diving when he was sixteen and has worked on numerous underwater excavations. He has worked in rivers and lakes in France on villages from both the Neolithic Period (4000–2000 BC) and the Bronze Age (900 BC). 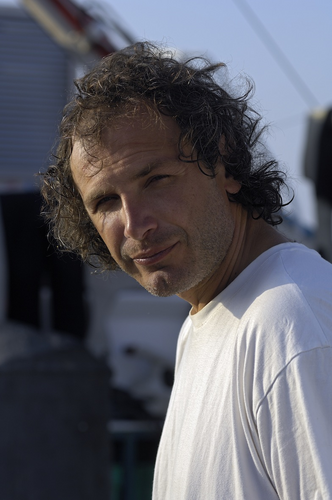 Stéphane has also surveyed shipwrecks along the French Riviera and excavated a wreck from the 7th century BC and a Roman wreck from the 2nd century AD. He really enjoys cleaning the concretion that grows on the underwater statues. As he proceeds, the beauty and detail of the sculptures emerge after two millennia, and more!